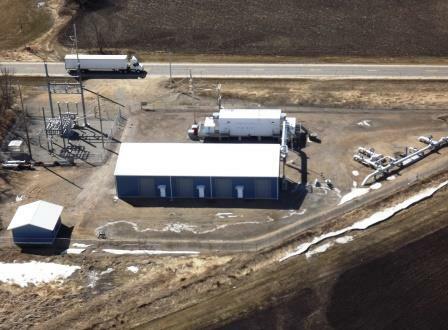 New pump stations will be located in rural areas along the route in Hubbard, Wadena, Morrison, Meeker, McLeod and Scott counties. The Minnesota Pipe Line reliability project will use available capacity on the MPL system’s newest pipeline – Line 4 – to ensure the overall reliability of the pipeline system. The project includes adding six pump stations to MPL Line 4 and upgrading existing stations. This will allow the pipeline to operate at its original design capacity of approximately 350,000 barrels of crude oil per day when needed to meet demand. Today MPL 4 is configured to transport about 165,000 barrels per day. This project will help ensure that refineries producing the majority of Minnesota’s transportation fuels continue to have access to sufficient and reliable crude supplies. Once the project is complete, MPL will have the flexibility to shift capacity to MPL 4 in the event of an outage on other segments of the pipeline system. 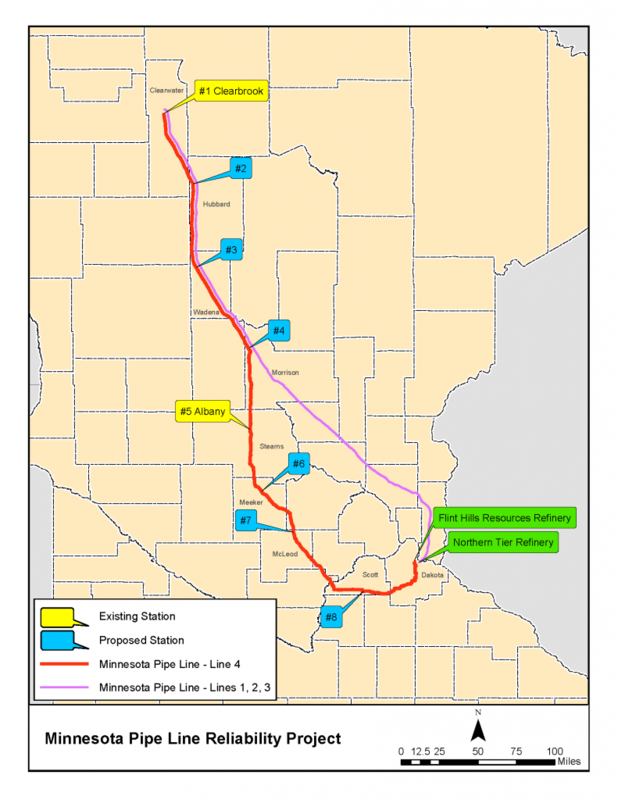 In addition, this project will allow MPL to conduct maintenance on other segments of the pipeline system as needed without disrupting crude supplies to the Twin Cities market. As pipelines age, they require more frequent inspections and maintenance. This project is an estimated $125 million investment and will bring increased property tax benefits to the counties where construction will occur. About 40-50 new construction jobs will be created. No new pipeline will be installed and no new pipeline right-of-way will be acquired for this project. The reliability project includes adding six new pump stations to MPL Line 4 similar to this existing pump station in Albany.